The mark of a truly successful person (or couple) is their commitment to giving back to their community. Naushad Khan has served on the board of the Association of Independent Publishers and was Vice Chairman of the Board of Cape Town Opera. And he’s found time for those responsibilities after wrapping up the day’s work of running his media and marketing services company, Bolt, in addition to the time-sapping task of publishing a bimonthly entertainment and lifestyle newspaper, The Next 48hOURS. But that’s not enough to drain the combined energy of Naushad and his wife, Roxanne. Inspired by the sacrifices made by generations of South African women who have campaigned hard for women’s rights to safety as well as equal opportunity in the workplace, Naushad had the idea of bringing Capetonians and their visitors together on Women’s Day. 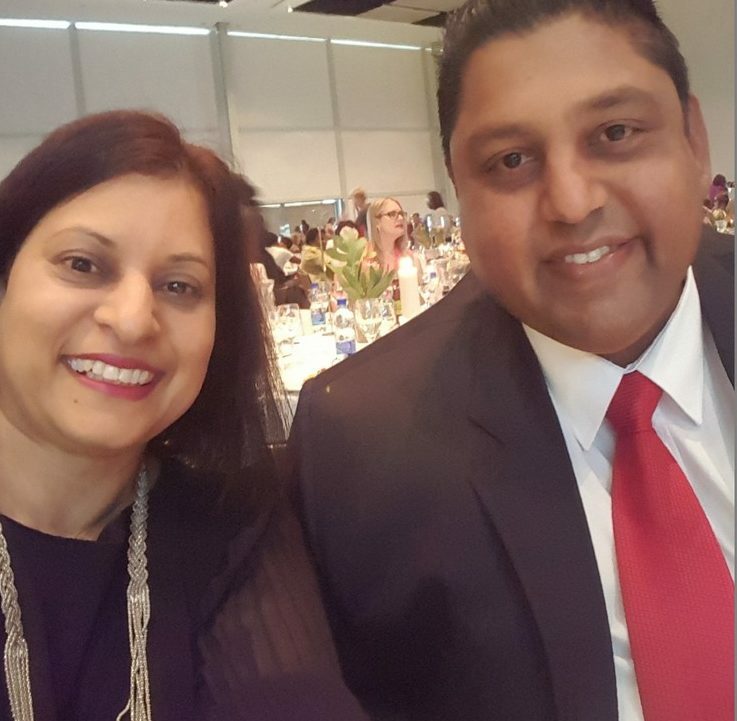 “The best way for people to get to know each other and build friendships is when we break bread together, and that’s why Roxanne and I had the idea of serving a celebratory lunch in honour of Women’s Day,” says family man Naushad. With his background with the Cape Town Opera, the search for a suitable occasion at which to serve their lunch immediately led the couple to partner with The Artscape Theatre Centre, which hosts the annual Women’s Humanity Arts Festival every August. “We decided it would be wonderful to organise a lunch for everyone who attends the Festival on Women’s Day on August 9 each year,” adds the entrepreneur. In 2017, the couple’s little lunch idea had grown to a mammoth feast feeding well over 3000 people and it looks likely that they will top that in 2018.